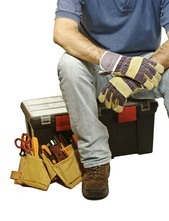 Everyone who works for you needs to know how to work safely and without risks to their health. You must provide clear instructions information, and adequate Health & Safety training for your employees. All the following courses can be delivered with an in-house certificate (our own or joint certificated with your company) included in the price, or alternatively with a Nationally Accredited qualification from an Awarding Body for the additional cost of their exam and certification fee. (Please see the certification costs for the relevant Awarding Bodies). This half day Health & Safety training course acts as an introduction to the basics of Health and Safety that will protect both the candidate and their fellow workers in all areas of employment. This one day Health & Safety training course is suitable for all employees and addresses the national occupational standards in health and safety. We can be tailor this course to your business and individual needs to make the learning experience relevant and fit for purpose. This three day Health & Safety training course is suitable for supervisors, owners, team leaders or managers responsible for Health and Safety. It examines Health and Safety from a supervisory perspective. Supervisors have both a legal and moral responsibility to look after the Health and Safety of employees. This qualification will enable managers and supervisors to improve the Health and Safety culture of their organisation, whatever its size or activity. This course will also enable trainers to deliver level 1 and level 2 health and safety qualifications (with appropriate training qualifications).